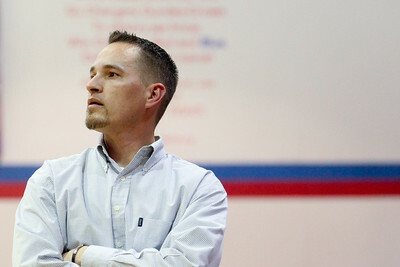 Lauren M. Anderson - landerson@shawmedia.com Prairie Ridge's basketball coach Jeff Boldog walks the sidelines on Wednesday during a game against Dundee-Crown. Boldog made his coaching debut last night during the FVC Valley match up. 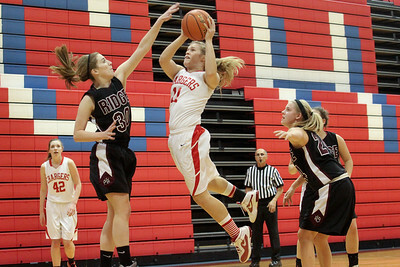 Lauren M. Anderson - landerson@shawmedia.com Prairie Ridge's Haleigh Danek (22) puts up a shot in the first quarter on Wednesday during a game against Dundee-Crown. 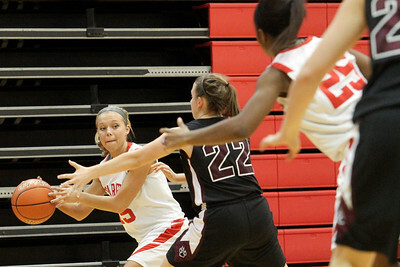 Lauren M. Anderson - landerson@shawmedia.com Prairie Ridge's Haleigh Danek (left) knocks the ball away from Dundee-Crown's Diamond Williams in the second quarter on Wednesday. 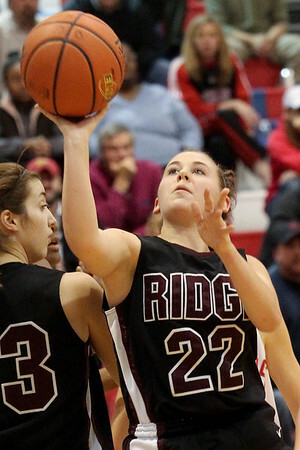 Prairie Ridge defeated Dundee-Crown 44-41. 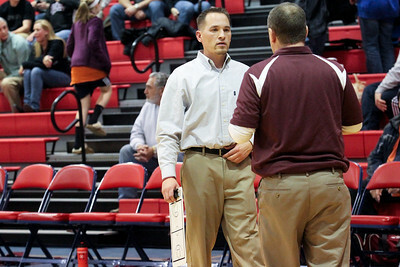 Lauren M. Anderson - landerson@shawmedia.com New Prairie Ridge girls basketball coach Jeff Boldog (left) talks with new assistant coach Rob Baker (right) on Thursday before breaking for half-time against Dundee-Crown. Lauren M. Anderson - landerson@shawmedia.com Prairie Ridge's Kelsey Bear (left) reaches to block a shot put up by Dundee-Crown's Ali Sanders in the second quarter on Wednesday. 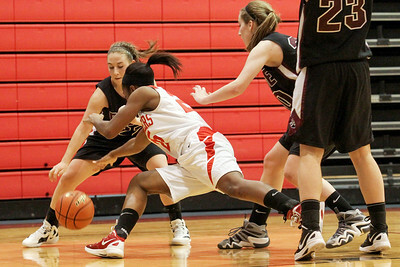 The Wolves defeated the Chargers 44-41.